Consilient Offers Blackberry Training | BlackBerry Blast! Consilient today announced it will offer BlackBerry training courses for individual handheld users and system administrators. Carriers and network operators can also deliver BlackBerry training to their BlackBerry customers through Consilient's carrier courses. 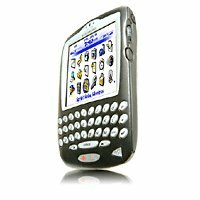 Consilient's BlackBerry courses deliver direct assistance to carriers' customers throughout the deployment of BlackBerry.